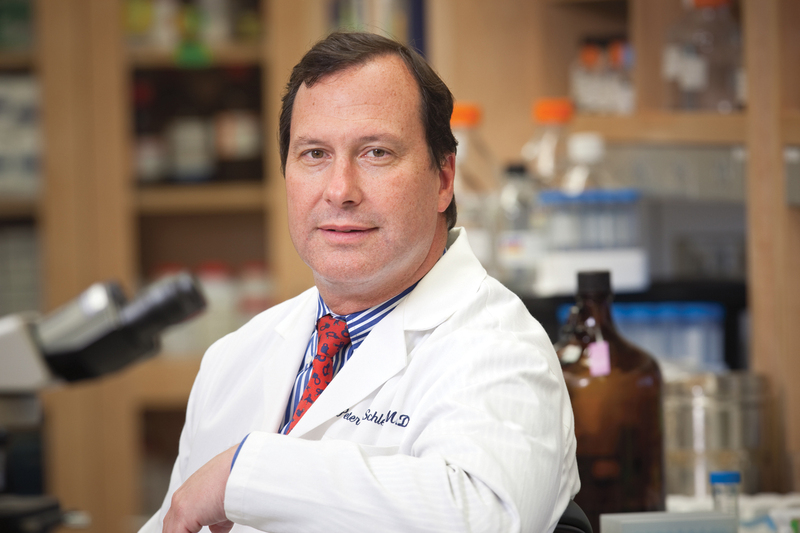 Under the leadership of Dr. Peter N. Schlegel, Brady Urology continually raises the global standards of urologic research, medical training, and clinical care. A national discussion, substantially fueled by the research of urologists at WCM / NYPH, has changed the official US view on PSA testing. Last year, Dr. Shoag with Drs. Mittal and Hu of Brady Urology reported in the New England Journal of Medicine, showing flaws in the US PLCO trial that had reported no benefit to PSA screening. In April 2017, the USPSTF revised the recommended guidelines for PSA testing, favoring the role of screening by stating "the decision about whether to be screened for prostate cancer should be an individual one". At our Center for Male Reproductive Medicine & Microsurgery, patients are guided through a comprehensive and thorough analysis of male infertility, yielding many successful treatments and happy families. Our research laboratories meet urologic conditions and disease on the battlefield. Paired with state-of-the-art technology, our researchers search for new preventative, tracking, and treatment methods for urologic conditions, such as prostate cancer. Brady Urology is proud to have played an integral role in many techniques, tests and procedures that have been invented or perfected by our Physician-Scientist Faculty. 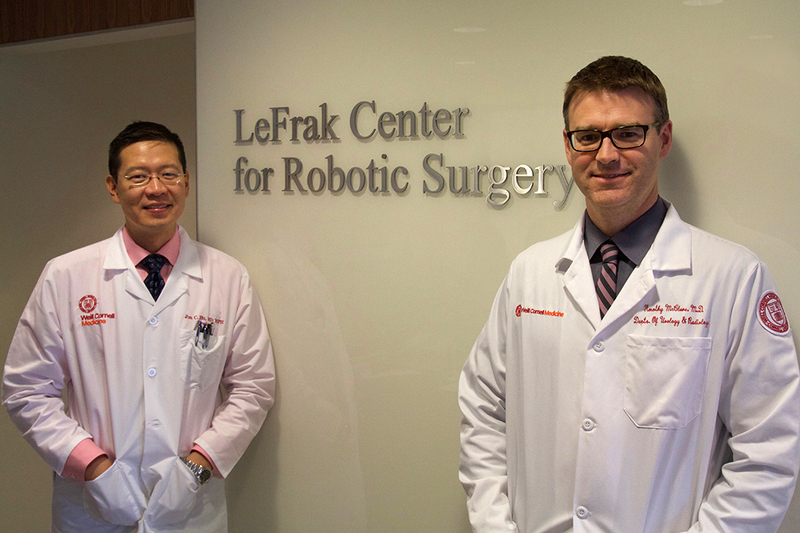 Our Centers for Minimally Invasive and Robotic Surgery are founded in the effort to eliminate many complications traditionally associated with open urologic procedures. Our physicians emphasize patient education and outcomes research to determine when surgery is needed and best deliver their expertise. 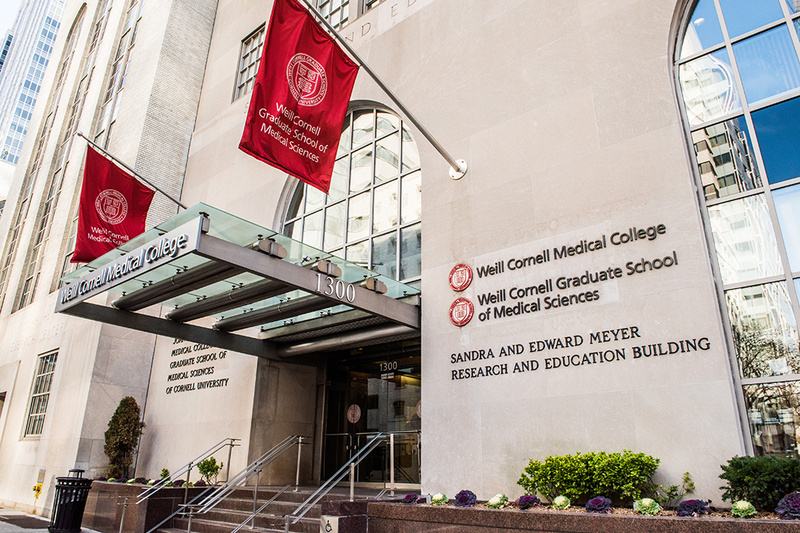 Within the Department of Urology at Weill Cornell Medicine, our specialized Center is home to team of specialists focusing on urogynecology and dedicated to female pelvic medicine & reconstructive surgery. The Center for Female Pelvic Health is a state-of-the art medical facility that serves as a single access point to the highest standard of urogynecologic care and clinical technologies, both surgical and non-surgical. Weill Cornell Medicine's Department of Urology is proud to partner with NewYork-Presbyterian, ranked #10 in the nation and the #1 hospital in New York by US News and World Report. Search for a WCMC provider by name, insurance accepted, or treatment location. Learn more about some of the department's current news, events, or areas of focus. What is azoospermia? Can azoospermia be reversed? If you would like an appointment with a urologist specializing in azoospermia treatment, please call our office at (212) 746-5491. If you would like to make an appointment to see a urologist specializing in prostate health in NYC, please call our office at (646) 962-9600. If you would like to make an appointment to see a urologist specializing in prostate cancer, please call our office at (646) 962-9600. This educational video discusses the MRI-Ultrasound Fusion Guided Focal Cryotherapy of Prostate Cancer, which is an innovative procedure performed at Weill Cornell Medicine. Dr. Peter Schlegel, Chairman of Weill Cornell Medicine Urology, was featured on a National Geographic segment regarding male fertility. We're excited to share that The New York Academy of Medicine has awarded the prestigious 2018-2019 Ferdinand C. Valentine Fellowship Award for Research in Urology to Russell Hayden, MD (current fellow at WCM Urology) and Jennifer Reifsnyder, MD (graduate of NYPH-Cornell Urology Residency Program). The New York Times reported on various responses to a recent study suggesting that sperm counts have been dropping for decades. Dr. Peter Schlegel, Chairman of Weill Cornell Urology, is featured for commentary, noting that male infertility is not rising at an alarming rate. 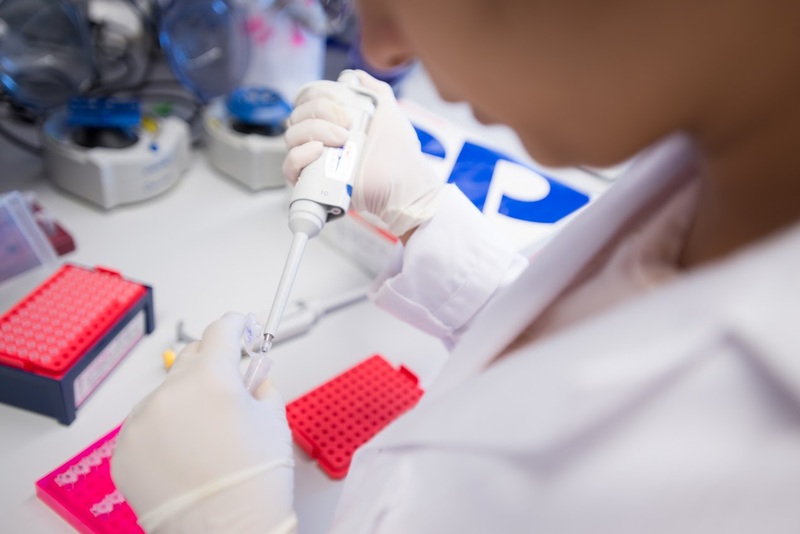 Dr. Christopher Barbieri was interviewed as a co-senior author on new prostate cancer research from Weill Cornell Medicine & colleagues, regarding the interpretation of PSA levels in patients with the SPOP prostate cancer subtype. A surgically implanted device used to regulate bladder and bowel control often requires additional operations to repair or replace it, according to a new study by Weill Cornell Medicine and NewYork-Presbyterian investigators. In January 2018, the Prostate Cancer Foundation recognized the developments of PSMA radionuclide therapy as one of the top 5 research stories of 2017, highlighting the recent work from Weill Cornell Medicine’s Department of Urology as a driving force behind this effort. If you would like to make an appointment for a male sexual and reproductive medicine consultation in New York City at Weill Cornell Medicine, please call our office at (212) 746-5309. 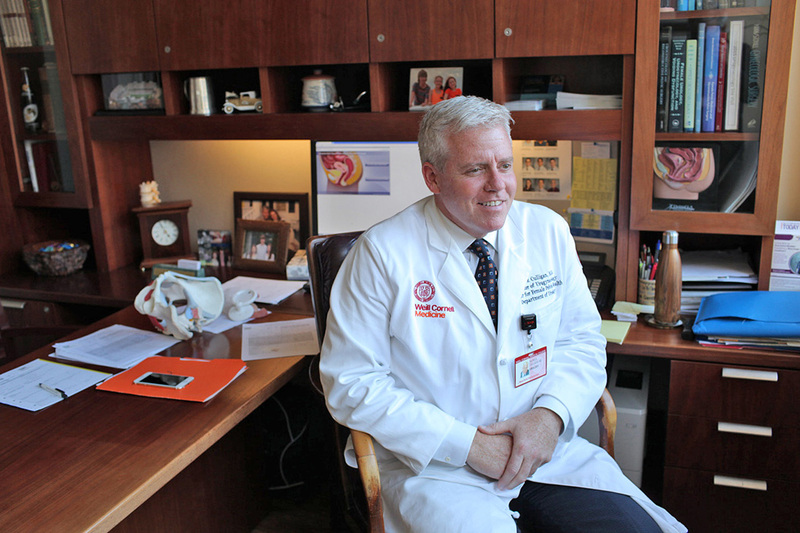 Marc Goldstein, MD, DSc (hon), FACS discusses his role as a urologist, surgeon and pioneer in male infertility evaluation and treatment at Weill Cornell Medicine/NewYork-Presbyterian Hospital in New York City. To make an appointment with Dr. Goldstein in NYC, please call his office at (212) 746-5470. Watch videos about conditions, read department news, or review articles and research. To request an appointment with Dr. Barbieri in NYC, please call (212) 746-5562. Dr. Barbieri discusses Genomic Testing For Prostate Cancer Patients, and how this may impact risk stratification and decision to pursue treatment(s). Dr. Christopher Barbieri discusses recent advances in genetic testing that allow patients to have blood or saliva sampled to help evaluate their risk of developing prostate cancer. Dr. Jim Hu - How Does Prostate Cancer Affect a Man's Sexual Function? If you would like an appointment, please call us at (646) 962-9600. Dr. Jim C. Hu goes over some common questions many men have about the impact of prostate cancer and treatment on sexual function and climax. Dr. Jim Hu - Does Prostatectomy Cure Prostate Cancer? If you would like an appointment, please call us at (646) 962-9600. Dr. Jim C. Hu discusses various factors that contribute to whether a radical prostatectomy has a curative outcome in any given patient. Dix P. Poppas, M.D., F.A.C.S., F.A.A.P.